BAYER BEE CARE CENTERPopulations of honeybees have crashed in recent years, and many researchers have pointed the blame at a class of widely used insecticides called neonicotinoids. 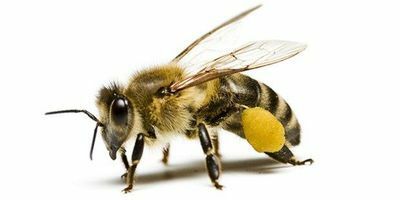 But studies have shown that not all the compounds are equally toxic to these critical pollinators, suggesting that there might be variation in how the insects metabolize them. Now, a team of academic and industry scientists in Europe have traced this differing sensitivity to an enzyme in the cytochrome P450 superfamily of proteins that can metabolize at least one neonicotinoid into a less toxic derivative. The findings, published today (March 22) in Current Biology, raise the possibility of identifying bee-friendly pesticides based on their vulnerability to detoxification via this mechanism. Neonicotinoids target nicotinic acetylcholine receptors (nAChRs) in the insect central nervous system. 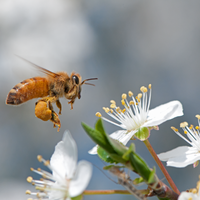 While several of the seven commercially available compounds are classified by the Environmental Protection Agency as highly toxic to honeybees if ingested or touched, two are considered only mildly toxic—a distinction that’s often overlooked in the debate about the compounds’ use, notes coauthor Ralf Nauen, an insect toxicologist at Germany-based Bayer CropScience, a major neonicotinoid manufacturer. Usually, “they’re all thrown in the same bucket,” he says. A few years ago, Nauen and his colleagues set out to get to the bottom of these differences. In collaboration with researchers at the University of Exeter and agricultural research institute Rothamsted Research in the U.K., the Bayer team focused on two compounds: the highly toxic imidacloprid and the slightly toxic thiacloprid. 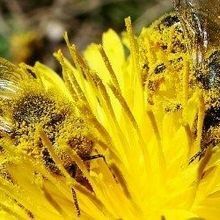 Combining new data with previous experiments, the researchers found in their latest study that honeybees (Apis mellifera) and bumble bees (Bombus terrestis) could survive touching or ingesting many hundreds of times higher doses of thiacloprid than of imidacloprid. 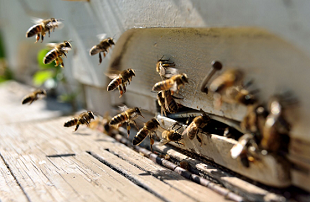 BAYER BEE CARE CENTER This variation was not due to differences in how the compounds interact with their protein target, the team observed: binding experiments revealed that both neonicotinoids have a similar affinity for nAChR in vitro. So the researchers turned to a class of proteins involved in metabolism, the cytochrome P450s. The P450 superfamily is represented in almost all living organisms, and contains multiple enzymes that break down toxins. 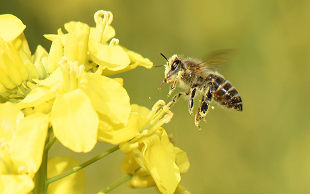 Previous research had shown that broadly inhibiting P450 enzymes greatly increases honeybees’ sensitivity to thiacloprid, but not to imidacloprid, implicating a role for at least some of the proteins in mitigating neonicotinoid toxicity. “That suggested we should really focus in on this group of enzymes,” study coauthor Chris Bass, an entomologist at the University of Exeter, tells The Scientist. 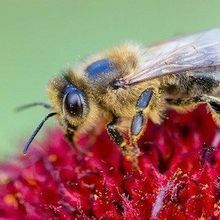 To identify relevant P450s, the researchers created 27 different insect cell lines, each expressing a unique honeybee P450 gene. Then, they incubated each cell line with a helping of either mildly toxic thiacloprid or super toxic imidacloprid. While none of the cells managed to efficiently break down imidacloprid, one cell line, containing a P450 gene called CYP9Q3, metabolized almost all of its thiacloprid dose in less than 60 minutes, Nauen says. 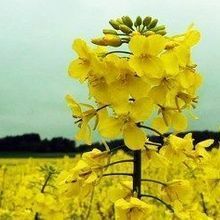 The researchers found that these cells were converting the neonicotinoid into 5-hydroxy thiacloprid—a related, but substantially less toxic, compound. 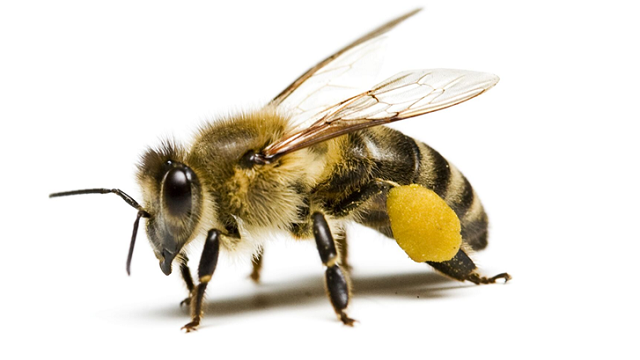 The mechanism isn’t limited to honeybees, the researchers found. Bumble bees possess a similar detoxification system thanks to a CYP9Q3 ortholog that the team has named CYP9Q4. “It’s quite an important result,” says Bass, “because it suggests that, at least in social bees, this system is quite conserved.” More recent, unpublished data suggest that some solitary bees may also use P450-based mechanisms to break down neonicotinoids, he adds. The work represents just a step on the road to understanding neonicotinoids’ real-world effects on bee health. For a start, bees’ exposures to a single pesticide compound is not a hugely “field-relevant” scenario, says Wright. “Very often these compounds are not used in isolation on crops,” she explains. “It’d be good to know, when these compounds are mixed with other compounds found in pesticides [such as fungicides], how that affects the efficiency of these P450 enzymes to detoxify neonicotinoids.” The Drosophila model offers the opportunity to test that, she adds. BAYER BEE CARE CENTERThe findings should also be validated with research in the field, where bees forage for their food, engage behaviorally with other bees, and encounter widely varying levels of different pesticides, says ecologist Maj Rundlöf of Lund University in Sweden. “Models can be useful . . . but I’m not sure a study like this can give us the definitive answer that thiacloprid is preferred over imidacloprid.” Ideally, she adds, further research would be performed by a team that doesn’t have vested interests in the neonicotinoid-manufacturing business. C. Manjon et al., “Unravelling the molecular determinants of bee sensitivity to neonicotinoid insecticides,” Current Biology, doi:10.1016/j.cub.2018.02.045, 2018.